Just occasionally a title for an image suggests itself even before I have fully found the picture I am looking for and these are often the strongest images since they are inevitably carved from ones imagination. In this case I immediately recognised the pattern of snow at the top of the image had to my mind the shape and outline of a winged dragon and once I had seen it I couldn't let that image go. 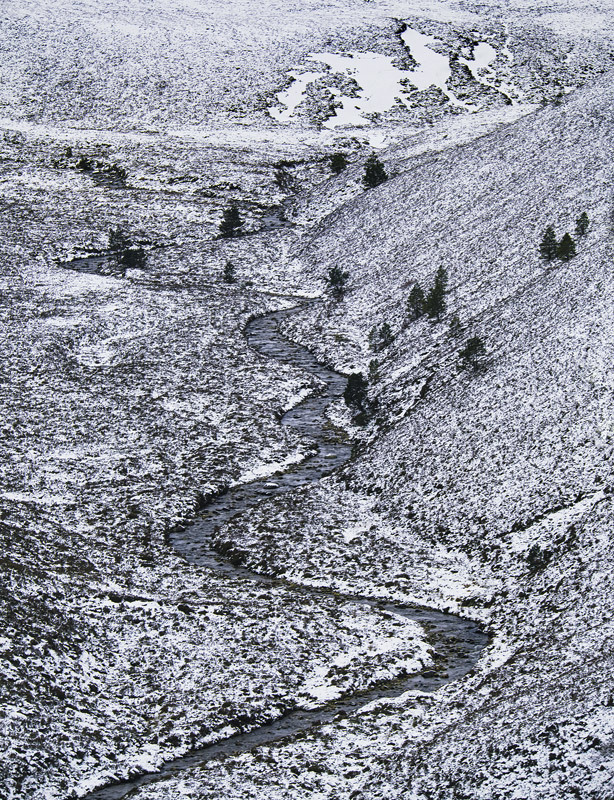 The meandering line of the dragons tail is a stream swollen by snow melt the black Scots pine giving the only real sense of scale. I should also advise that this image is colour not monochrome, the stream the only clue with reflected steely blue water.